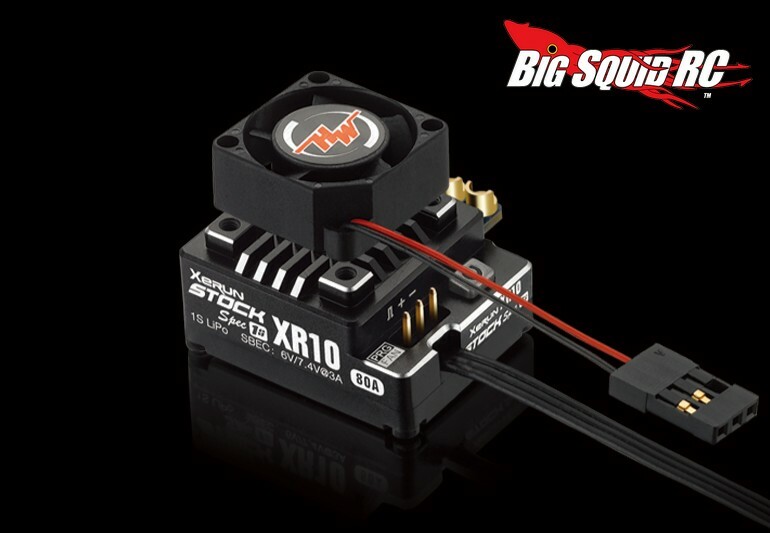 New Electronics From HobbyWing « Big Squid RC – RC Car and Truck News, Reviews, Videos, and More! The folks over at HobbyWing have announced a new brushless ESC for the 1S pan car market as well as a pair of new motors for the off road crowd. First up is the XeRun XR10 Pro Stock Spec 1S speed controller. The latest XeRun from HobbyWing is smaller and lighter than its predecessor, making it easily fit in the tight confines of a 1/12th scale pan car. It was specifically designed for stock class 1S racing with an internal booster BEC (6 to 7.4 volts) so there is no need to run a separate receiver pack. The new ESC is fully adjustable and you can find full details at This Link on the HobbyWing website. 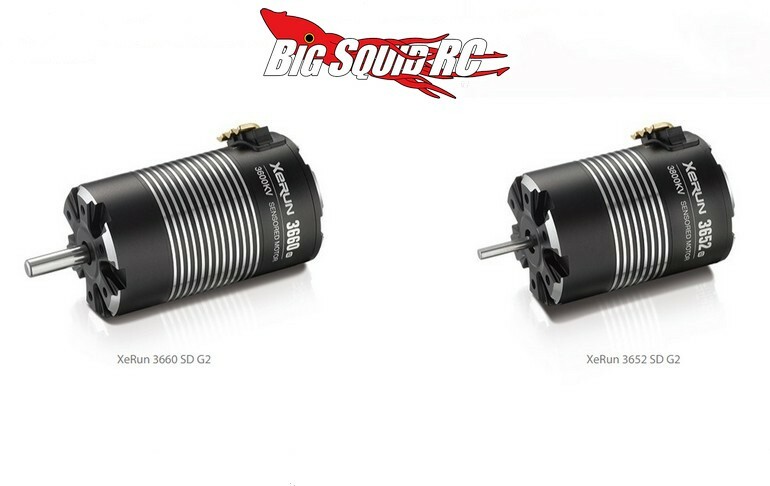 Also new from HobbyWing are the XeRun 3652 and 3660 SD G2 motors. Both motors are 4 pole and use a special chip so that they can be run in full sensored mode on HobbyWing controllers. Some of their highlights are a special turbo timing technology, bi-directional adjustable timing, the use of an advanced Hall sensor system, and a turbine design to help keep down internal temperatures. To get all the details just use This Link to head over to HobbyWing’s website. Get More HobbyWing news right here on Big Squid.